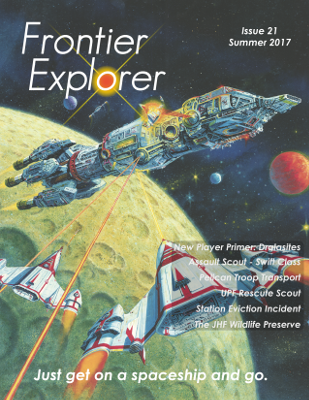 Just wanted to let everyone know that if you like your Frontier Explorer issues in physical form, the print version is now available at the issue 22 product page on DriveThruRPG. Just like the PDF version it's pay what you want with the minimum price being the at cost printing price it has always been set to. Enjoy! 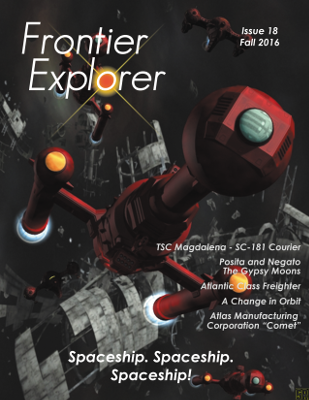 Issue 22 of the Frontier Explorer is now available. This issue sports and amazing cover image by Chris Walton. Inside, you’ll find a variety of articles include some character archetypes, new equipment, new creatures, and rules for constructing space stations. 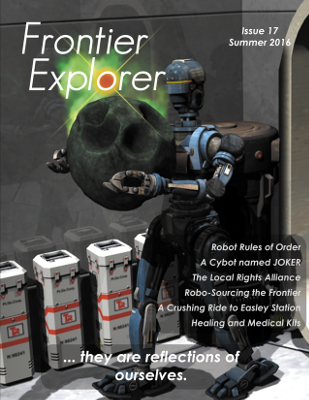 This issue also contains some early information on a new game FrontierSpace by DWD Studios that will see some coverage in future issues of the magazine. 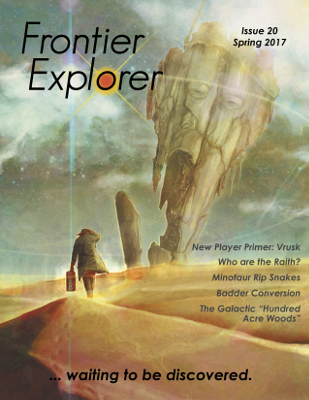 Also starting with this issue, I’m listing the Frontier Explorer as a “Pay What You Want” product on DriveThruRPG. 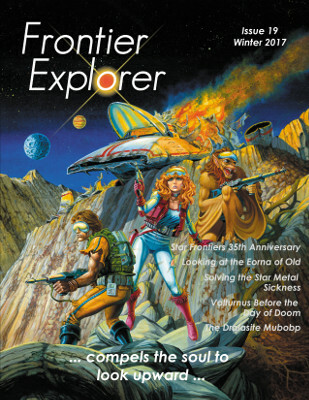 As always, the Frontier Explorer is free (and always will be) and you don’t have to feel guilty about just downloading it and enjoying it for free either here or on DriveThruRPG. Please do. That said, if you want to help support the magazine, the pay what you want option allows you to make a contribution. Just don’t feel like you need to. If you want to be a regular supporter, you might consider supporting our Patreon campaign as that not only helps support the magazine, it gets you early access to some of the articles and to each finished issue about a week before it becomes generally available. In the first session, the characters are sent to investigate a murder at a Streel mine. As they start to interact with the town and the miners and narrow down the suspect list, they encounter a surprising number of Sathar bio-constructs in the area of the village. This is the session zero for the new Star Frontiers RPG campaign A New Can of Worms. We got off to a rocky start due to some technical issues but eventually got under way. We discussed ideas and concepts about the campaign and rolled up characters. I've updated the core web framework and a large number of modules on the site. Most (if not all) of this should be completely transparent to users. If you do notice any problems, please let us know. Additionally, I've re-enambled registrations. I'll be monitoring this to see if we get flooded with spammers again.